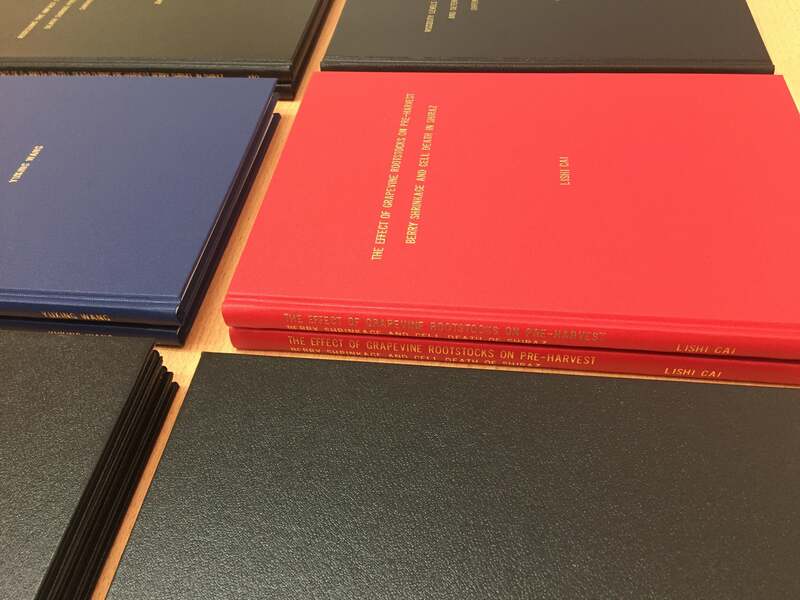 We can print your thesis from a supplied PDF onto 100gsm, acid-free, archive quality paper. 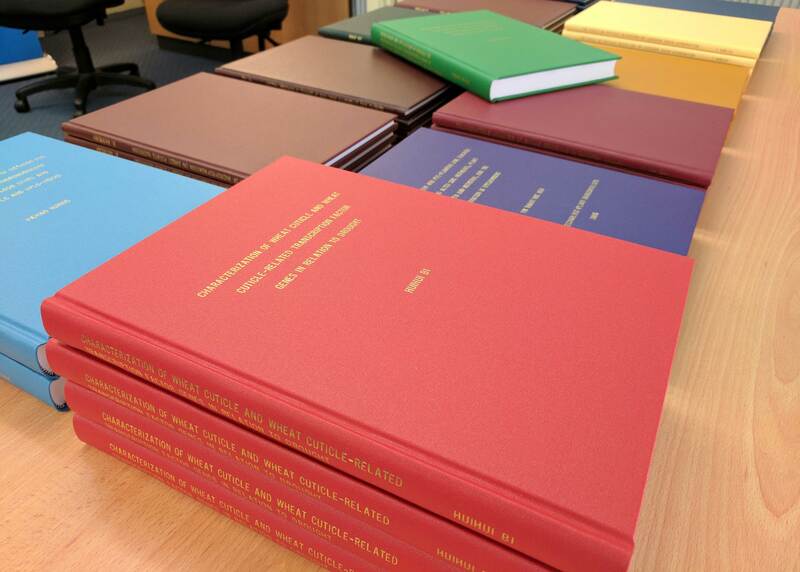 We will quote printing when we view your file to determine the number of pages in colour and black & white. We offer hard cover binding with a wide range of colours to choose from, with your choice of lettering on spine only or spine and cover. 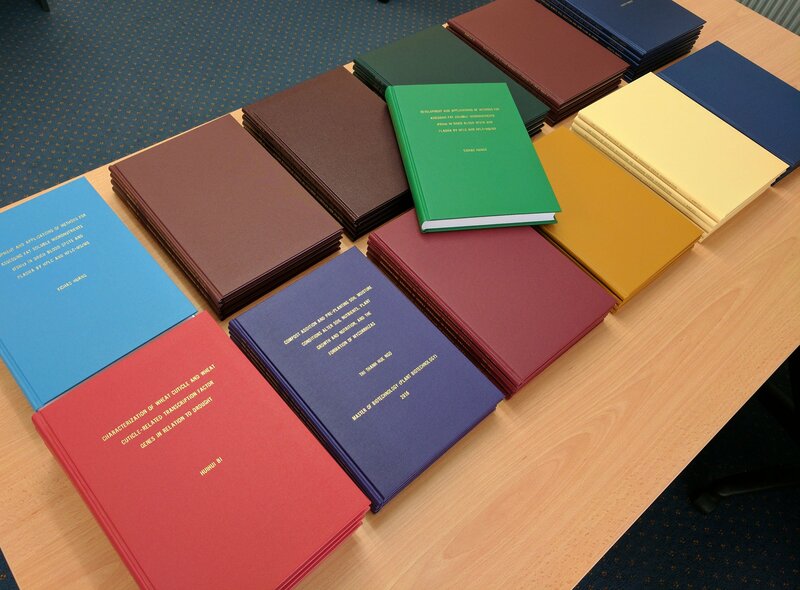 We also offer soft cover binding with plastic spiral, clear cover and card back. Please allow a minimum of 3 working days for hard cover binding and 24 hours for soft cover binding. For thesis enquiry, please complete the form below. Please write your thesis title and your name, this cannot be over 67 characters including space(s). Please write your thesis title and your name, this can not be over 134 characters including space(s). Please write your thesis title and your name. Please allow minimum of 3 working days. 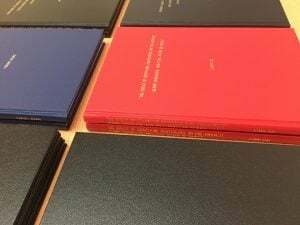 We print on to 100gsm, acid free, archive quality paper. Please specify page number for colour pages. To assist with swift processing of payments, please provide Project/Billing Code. Prices are subject to change without notice, correct as of November 2018. Print prices are an indication only, final invoice may vary based on the supplied document. We accept payment by EFT, Cash, Cheque, Mastercard or Visa.